Apple wants to use GT Advanced's former sapphire plant to produce hardware that will be used within its U.S. data centers, according to a notification published by the Federal Register and shared by Business Insider. Apple is seeking approval from the Foreign-Trade Zones Board to create "finished products and foreign status materials/components" in the factory. Specifically, Apple wants to create "finished server assembly cabinets" and needs permission to use materials sourced from abroad. According to the filing, the data center cabinets will be used for "other global data centers." A person with knowledge of Apple's data centers spoke to Business Insider and said Apple's data center server production will be consolidated in Mesa, Arizona. Servers for Apple's Oregon and North Carolina data centers are currently built and tested on-site, and the same likely goes for other global data center locations. With the Mesa factory, Apple will build and configure all U.S. servers in Arizona and ship them to Oregon and North Carolina. 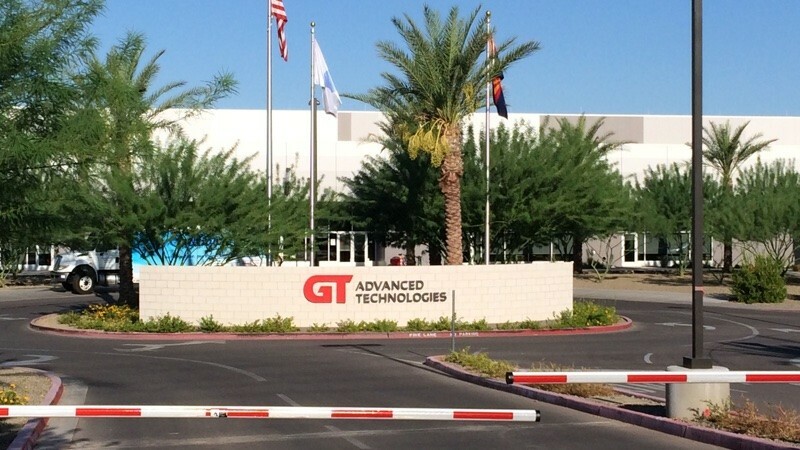 Apple originally purchased the Mesa, Arizona factory for sapphire manufacturer GT Advanced, but after the sapphire-making company failed to produce sapphire up to Apple's standards and went bankrupt, Apple was left with an empty facility. Apple announced plans to repurpose the sapphire plant in 2014, and is said to be investing $2 billion to turn it into a "global command center" for Apple's data network. At 1.3 million square feet, the facility is large enough to serve as both a data center and a manufacturing plant for data center equipment. I do hope this is a cover and they are actually producing a car, a phone, and plane. a car, a phone, and a plane. Do you get it yet. Its not three products but one that does it all. I’d love to get a glimpse inside Apple’s data centers to see what sort of equipment they’re running! Macintosh computers have been made in Arizona in the past. Specifically the Motorola StarMax. ('https://en.wikipedia.org/wiki/Motorola_StarMax') They were good machines. Take my money, Apple! I've been waiting for this moment for decades. I will finally be able to have Apple branded equipment cabinets in my home lab! Just curious did Apple use Xserves for their data center needs? Or has it always been other OEMS? My memory is a bit faded, but if I recall correctly, Apple's corporate website used to hosted on Xserves behind load-balancing equipment. That was many years ago, not in the recent iTunes Music Store/App Store/Apple Store era. It is likely that Apple ran third-party hardware concurrently for other purposes, not just at data centers but also for internal purposes. Apple has allegedly been a longtime user of Oracle products which means they are running third-party equipment. It's not like a Fortune 100 company is going to be running QuickBooks on two-year-old MacPro. My guess is that their on-campus WiFi isn't being hosted on AirPort Extremes either. They are likely using an enterprise solution. In any given Apple data center, my guess is that there are 2-3 system vendors depending on the age of the components and that Apple IT periodically switches vendors to mitigate risk, encourage cost competition, and access whatever is the ideal technology at the purchasing timeframe. This sounds like a good move.